A super fun, informative, crash course to get you on your way to stitching up a storm! 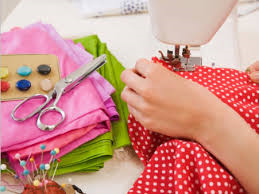 You'll learn how to operate a machine, basic stitches & sewing supplies, simple problem solving and the lingo to get you feeling confident in sewing. You'll finish with a table runner and take home a pattern and the skills needed to get you sewing. This is a great class for those new to sewing, folks who need a sewing machine refresher, or would like to learn how to use their new sewing machine. A limited number of class room machines are available for rent on a first come basis. Prerequisite: None, except a desire to learn!